It's my favourite time of the year, the worldwide fashion weeks are taking over the front pages of magazines, Instagram feeds and now our very own blog! We thought we'd do a little round up of the 5 top trends spotted at LWF 2018! It was the unmissable trend spotted on bloggers and influencers everywhere during fashion week and we love it! Whether your keeping casual and oversized or more tailored and smart, it looks like this trend isn't going anywhere fast. With Easter fast approaching maybe we should be embracing yellow a little more, the street style girls definitely were! Whether you dare to wear a bright lemon shade or prefer a more subtle mustard, you'll be bang on trend this season! Polka dots are everywhere this season and we love this cute throwback! A cute polka dot skirt is the perfect pairing with a chunky knit or wear an all over dotty ensemble if you're feeling a little more daring! We love this flirty girly trend and we're hoping it goes nowhere fast! Has the reign of the skinny jean finally come to an end? Maybe not, but it definitely has a new rival! Whether they're denim, block coloured or vibrantly patterned wide leg trousers are making a come back and this time they're not just for summer! Think comfort and fashion all rolled into one! 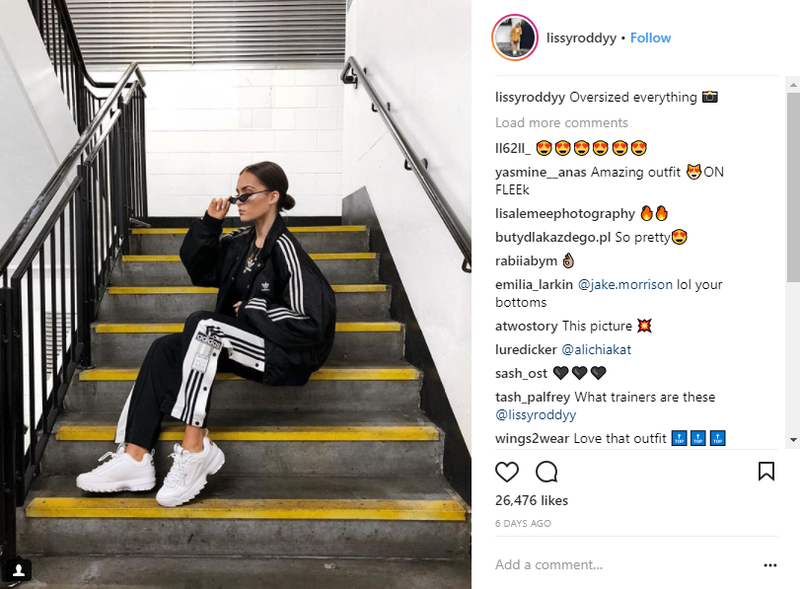 Chunky 'ugly' trainers were spotted everywhere at LFW, they're perfect for dressing down an outfit and make the perfect shoe for running between shows!